Holy Roman emperor Leopold II and Prussia's king Frederick William II sign a treaty of alliance. Holy Roman Emperor Leopold II dies at Vienna. Leopold's son Francis becomes the new Holy Roman Emperor Francis II. The new French Defense Minister is Pierre-Marie de Grave. He succeeds Louis-Marie-Jacques-Almaric de Narbonne. Assassination of Swedish king Gustav III. He will not recover. The Legislative Assembly decrees the use of the guillotine. King Louis XVI approves of the decree from March 20, 1792, introducing the guillotine. Also on March 25, 1792: France sends an ultimatum to Austria, advising to disperse all émigrés in their country, or else. The law number 1606 from April 4, 1792, concerning the French colonies, states that "Men of color and free negroes are admitted to vote in every parish assemblies, and are eligible to all places." Meanwhile the Haitian Revolution is still in full swing on Saint Domingue. Creation of the Army of the Midi. Commander: Anne Pierre, marquis de Montesquiou-Fezensac. 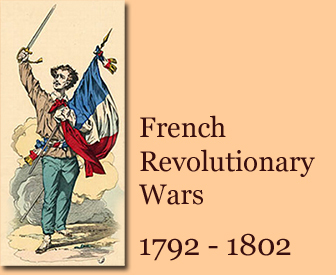 The French Revolutionary Wars begin. The War of the First Coalition begins. 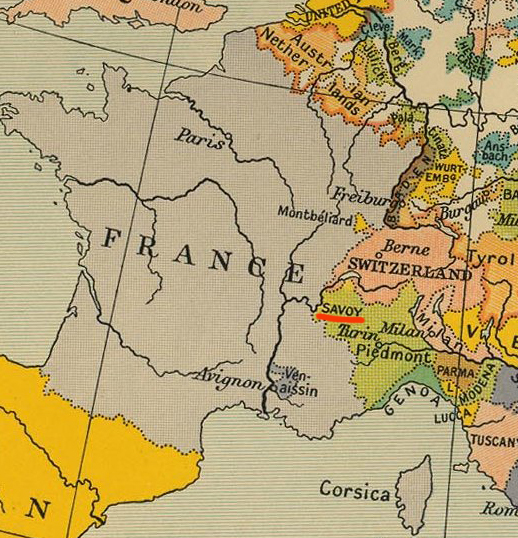 France declares war on Austria, who, in turn, allies with Prussia. The War of the First Coalition, the first chapter of the French Revolutionary Wars, has begun. The guillotine is used for the first time. Scoundrel Nicolas Jacques Pelletier, who had killed the person he wanted to rob, was awarded the honor. France invades the Austrian Netherlands (Belgium) with two armies, and then retreats. Armand-Louis de Gontaut, aka the Duke de Biron, leads the first army of 10,000 men to capture Mons, where Austrian General Beaulieu was stationed. They had set up camp at Quiévrain the previous night. Now marching direction Mons, they made it as far as Boussu, (5 miles or 10 km west of Mons) where suddenly troops took flight, screaming "We have been betrayed." This was the Battle of Mons, also called the Battle of Quiévrain. Another army, led by General Théobald Dillon, was ordered by General Dumouriez to capture Tournai to avoid confrontation. They march on Tournai but meet Austrian troops between Lamain and Marquoin. Skirmish ensues. Following orders, Dillon commands his men to retreat. His soldiers thought Dillon had betrayed them and killed him back at Lille. This was the first Battle of Tournai in this war. See May 22, 1794, for more. The new French Defense Minister is Joseph Servan. He succeeds Pierre-Marie de Grave. Russia invades Poland, thus triggering the Russo-Polish War of 1792. This war will end with the Second Partition of Poland on January 23, 1793. Dr. Antoine Louis, inventor of the guillotine, dies at Paris after having fallen ill. The new French Defense Minister is Charles-Francois Dumouriez. He succeeds Joseph Servan. Recall of the Girondin ministers. The new French Defense Minister is Pierre-Auguste Lajard. He succeeds Charles-Francois Dumouriez, who goes to war as commander of the Army of the North. Parisians storm the Tuileries Palace, but this is nothing in comparison with what will be happening on August 10, 1792. Many troops are advancing toward our borders. All those who hate freedom arm themselves against our constitution. Citizens, the country is in danger. Lafayette, formerly commander of the Army of the Center, becomes the new commander of the Army of the North. New commander of the Army of the Center is Luckner. Luckner transfers to the Army of the North because Rochambeau had resigned. Today, Armand-Louis de Gontaut, duke de Biron is the new commander of the Army of the Rhine. The new French Defense Minister is Charles-Xavier-Joseph Franquetot d'Abancourt. He succeeds Pierre-Auguste Lajard. This manifesto is a threatening message from the Prussian General Charles William Ferdinand Duke of Brunswick (Karl Wilhelm Ferdinand von Braunschweig) to the French, advising them to leave King Louis XVI and his family unharmed, or else. This manifesto was not drafted by Brunswick himself, and he hesitated to sign it. And rightly so. For the Parisians, instead of being intimidated, it served as a unifier. In response to this threat, the French will feel very patriotic and will accelerate. See August 10, 1792. The Duke of Brunswick leaves Coblenz with his troops, expecting to reach Paris before fall. However, his troops will move much slower than that. Storming of the Tuileries Palace. Overthrow of the monarchy. France is now a republic. Today is perhaps even more important in French history than July 14, 1789 (Storming of the Bastille). The new French Defense Minister is the old Defense Minister Joseph Servan. He succeeds Charles-Xavier-Joseph Franquetot d'Abancourt. The royal family is thrown into the Temple prison. Lafayette is declared a traitor. Dumouriez is the new commander of the Army of the North (Armée du Nord). The Duke of Brunswick and his troops cross the frontier to France. The Princess of Lamballe is transferred from the Temple prison to the La Force prison. In the night of August 19/20, Lafayette flees the country. But he gets arrested by the Prussians. They will transfer him to the Austrians, who will keep him a prisoner until 1797. The September Massacres begin. This mass killing of prisoners is part of the First Terror and will last until September 6, 1792. Moreton-Chabrillant is the new commander of the Army of the North. His post is temporary. The Princess of Lamballe (Marie-Thérèse Louise de Savoie-Carignan) one of Marie-Antoinette's closest friends, is snatched from prison and lynched by the mob, and her head carried on a pike in front of the latter's window. The September Massacres end. All in all, about 1,200 prisoners were killed by the mob. These massacres had started on September 2, 1792. French victory at the Battle of Valmy. The French, led by Charles-François Dumouriez and François-Christophe Kellermann, fight against invading Prussians and Austrians. Formal abolition of the monarchy. 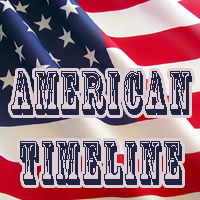 Today, the proclamation from August 10, 1792 is legally confirmed. The Legislative Assembly is replaced by the National Convention. First day of the French Republican Calendar. Today is 1 Vendémiaire, year I. But people don't know it yet because the French Republican Calendar won't be official until October 5, 1793, when it will be implemented retroactively. Sometime between today and November 1792, Marianne becomes the name for the French Republic. Today, therefore, is her birthday, if you will. In pictures, she appears most of the time wearing a Phrygian cap, aka the cap of liberty. 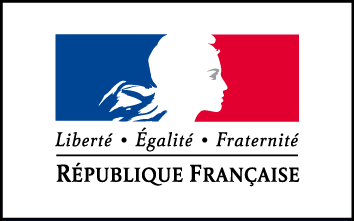 The French kept her on their government logo to this day. The Convention decrees that "the Republic is one and inseparable." La Bourdonnaye is the new commander of the Army of the North. D'Anselme calls his right wing of the Army of the Midi, Army of the Var. The name will stick. Battle of Spires. also spelled Speyer, French victory, led by General Custine. 20,000 French troops against 12,000 Austrians. The French take 2,900 prisoners. The Austrians surrender. 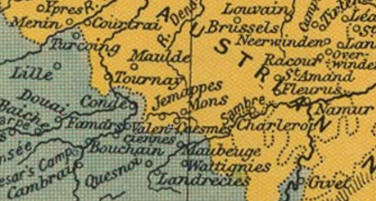 The right wing of the Army of the North becomes the Army of the Ardennes. Commander: Dumouriez. Formerly, it had been the right wing of the Army of the North. The left wing of the Army of the Rhine becomes the Army of the Moselle. Commander: Kellermann. Creation of the Army of the Interior. Commander: Berruyer. Creation of the Army of the Pyrenees. Commander: Servan. Creation of the Army of the Vosges. Commander: Custine. The French, led by General Custine march on Worms and the city immediately surrenders. The new French Defense Minister is Jean-Nicolas Pache. He succeeds Joseph Servan. The French besiege Mainz (Mayence). Having been besieged since October 19, 1792, the city of Mayence (Mainz) surrenders to the French, led by General Custine. The French, led by General Custine take Frankfurt. The French, led by General Dumouriez invade the Austrian Netherlands. Battle of Jemappes. French victory. A French warship enters Ostend (Oostende, Ostende) without resistance. After the massacres of September and some victories in the war, the Convention declares that "it will grant fraternity and assistance to all people who want to regain their freedom." Discovery of the famous iron chest at the Tuileries. A trial of Louis XVI becomes inevitable. 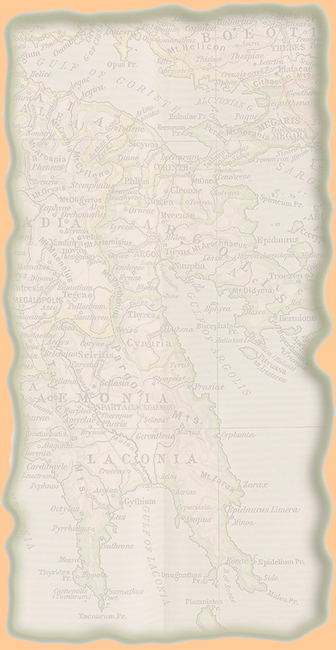 The National Convention declares the annexation of Savoy (Savoie). In December it will become the département du Mont-Blanc. Antwerp surrenders to the French. Namur surrenders to the French. Battle of Frankfurt. The Prussians and Hessians recapture Frankfurt from French General Custine and his men. The Army of the Midi (Army of the South) is split into the Army of the Alps (Commander: Kellermann) and the Army of Italy (Commander: Anselme). D'Anselme and his " Army of the Var" (officially the right wing of the Army of the Midi) become the Army of Italy. I state with regret the fatal truth: Louis must die, because the country must live. The National Convention decrees that Louis XVI shall be tried by the National Convention. General Dumouriez is again the commander of the Army of the North. He also has the command over the Army of the Ardennes. 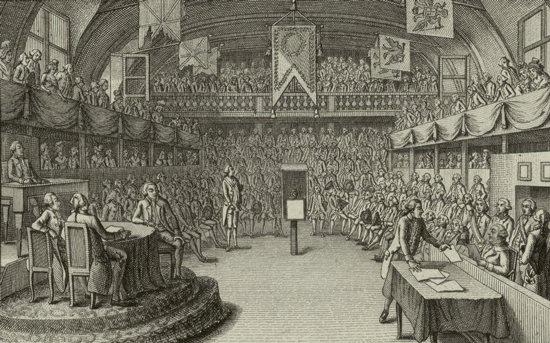 The trial of the citizen Louis Capet (King Louis XVI) begins. Technically, it is still Louis XVI rather than Louis Capet, because of the Constitution from September 3, 1791. Either way, Louis' formal indictment lists 33 crimes. Louis appears at his trial. His charges are read. Louis is interrogated by Barère, and has to respond to and justify each one of them. Louis is granted a conseil de défense. Members of this legal counsel are François Denis Tronchet, former president of the bar association, Chrétien-Guillaume de Lamoignon de Malesherbes, two times a minister, and Raymond de Sèze, former judge and lawyer. By speaking perhaps for the last time, I declare that my conscience does not reproach me, and that my defense counsel has told you the truth. This is the second and last time that Louis personally appears at his trial. Louis' lawyers respond and plead not guilty on all 33 counts. Valence is the new commander of the Army of the Ardennes, but still under General Dumouriez (Army of the North, see December 10, 1792).